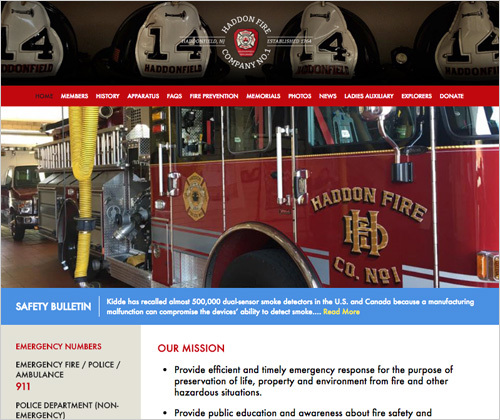 Haddon Fire Company #1 needed a new website to serve both the public and their firefighters. The site's bold design reflects the seriousness of their mission and the dedication of these volunteers who put their lives on the line every day for sake of the community. They want everyone to know about the danger of fires and other disasters and they want you to see the equipment that helps them achieve success. 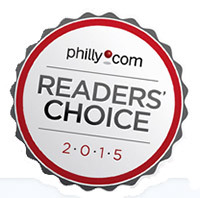 They are proud of their history as well having been around since 1764. Technology: The Fire Company's site was developed on a WordPress platform. The public section of the site utilizes several plug-ins to showcase visuals, including a historical photo gallery. The private section of the site is a complex collection of communication tools that help the firefighters report incidents and availability, keep in touch with each other, and learn from a knowledge bank.